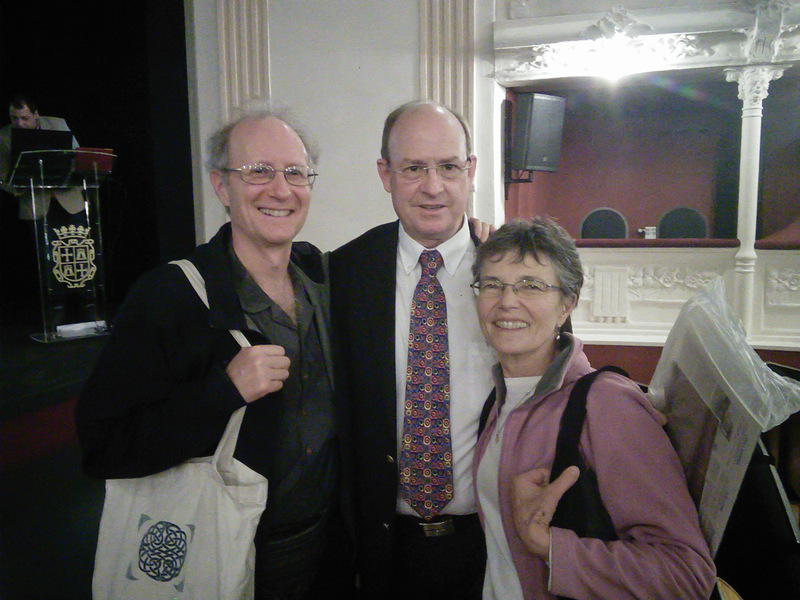 Bill & Claire with IUFRO President, Mike Wingfield. We felt very lucky to reconnect in Palencia with the organizers, as well as some of the speakers and delegates we had met at previous IUFRO conferences, and it was a pleasure to make some new friends, too. Having lunch with Mike Wingfield, Julio Casero and Jorge García before the congress began was a real privilege. 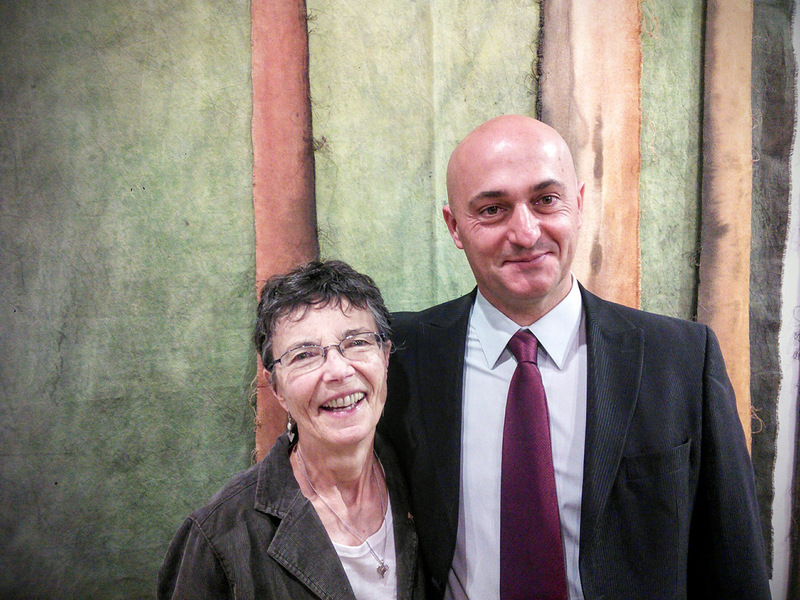 Claire with SEF President and Congress organizer, Julio Javier Díez Casero. 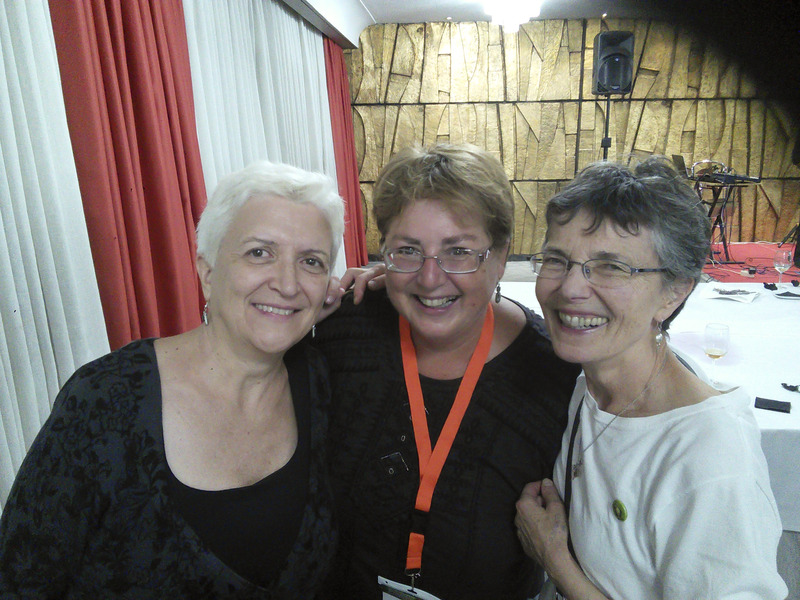 Claire with Elena Hidalgo Rodríguez, Carmen Romeralo and Diana Bezos from the organizing committee. 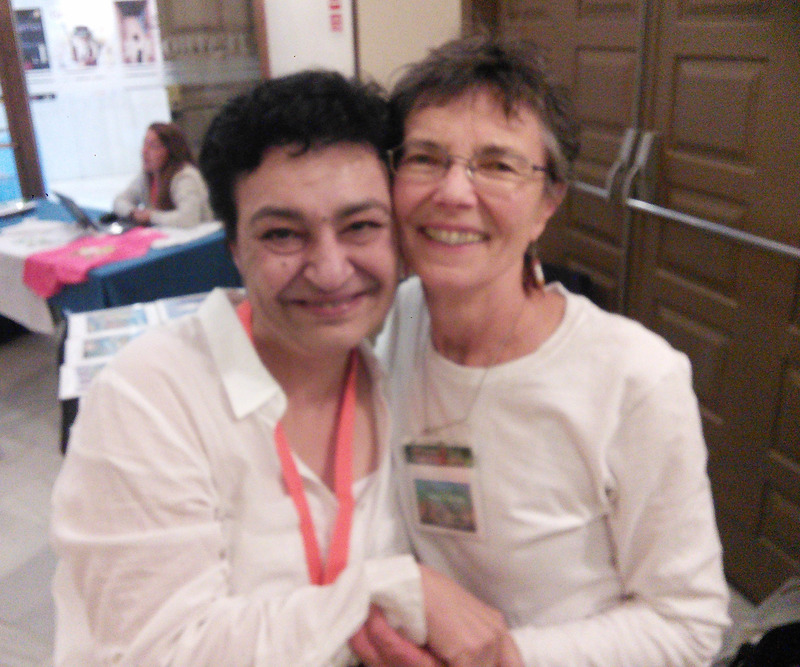 Claire with Montse Rosello from Catalunya. 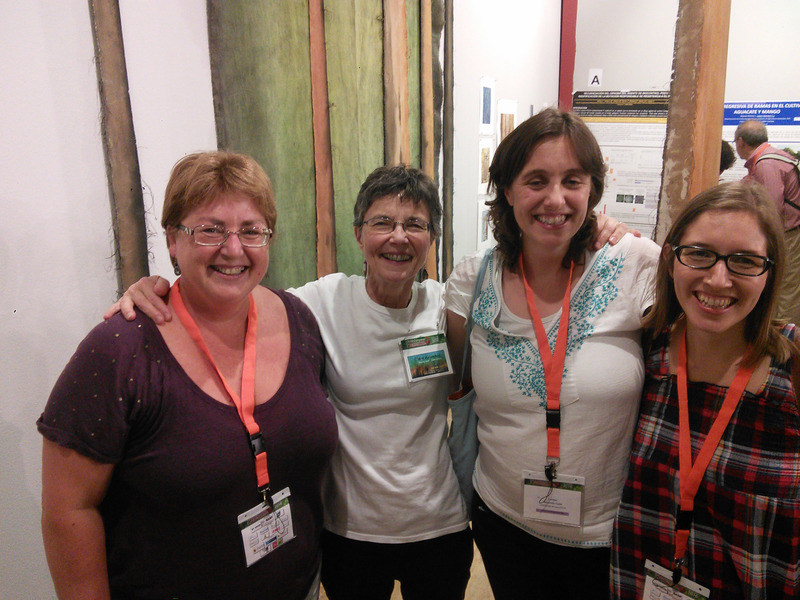 Rosa and Elena were at IUFRO Montesclaros in 2011 and it was great to see them again. 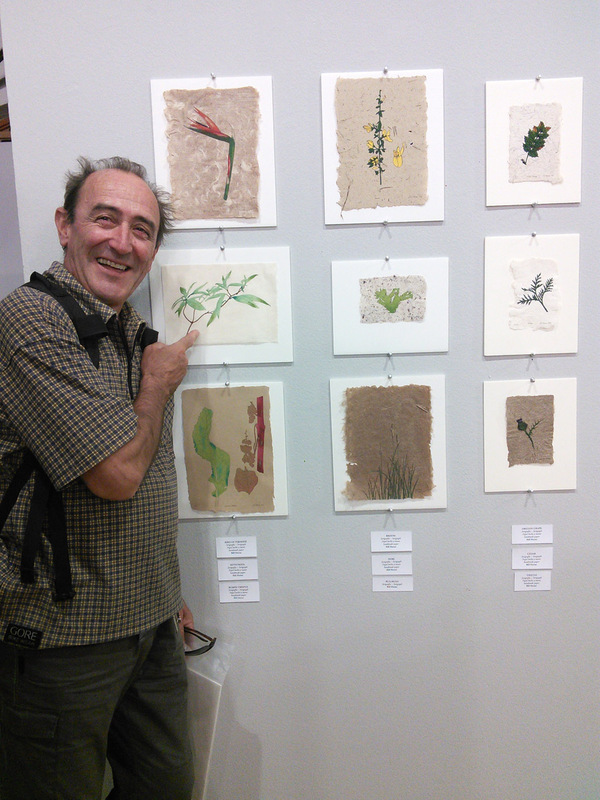 We were also blessed with a visit to our exhibition and our presentation to the Congress from Juan Barbé of Eskulan paper studio and Papyriphera who made a big detour from his trip Gijón to Bilbao and who had sent me the Mitsumata paper I printed along with Curly Dock paper we made together in Zizurkil in 2013. Always a pleasure to talk about fibres! Juan Barbé points to the Mitsumata paper; our Curly Dock paper is below it. This entry was posted in España, SEF2016, Uncategorized and tagged climate, environment, pine beetle art, plant papers, science, Spain, Travel. Bookmark the permalink.